← SAY WHAAT! YOU FANCY HUH? RAPPER SOULJA BOY SPENDS $55 MILLION ON PRIVATE JET! SAY WORD! MORE “OWN” BAD NEWS FOR OPRAH WINFREY & HARPO! It’s seems like everything around Oprah has been falling apart ever since the day she ended her talk show. After firing the CEO of “OWN” and deciding to take over as the #1 boss herself, yet more bad news has emerged. The New York Post is reporting that Oprah’s “OWN” readership base has reached an alarming all time low! 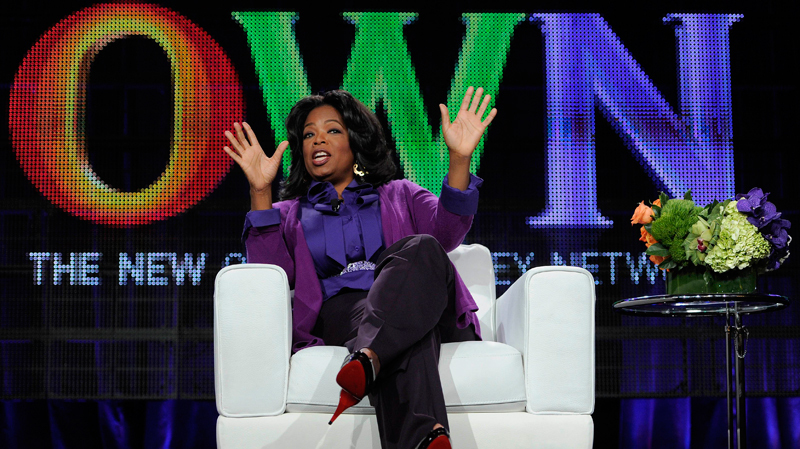 Word is that Oprah.com – Winfrey’s main contribution to OWN – has lost half its readership since The Oprah Winfrey Show left the air in May, the New York Post reported today. Oprah.com, which Winfrey gave to Discovery Communications as her half of their partnership in starting OWN, was down almost 50 percent in site visits last month, according to siteanalytics.compete.com. Oprah might want to consider making a return to TV. In the meantime, yesterday (July 28th) O tweeted the above photo, the first day on the job as CEO. 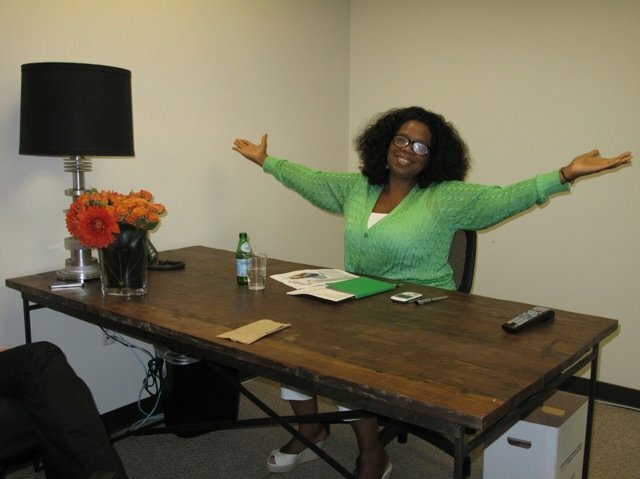 The captioned read: “Here I am “CEO-ing” in my new office at OWN in LA! !” We still believe in you O! This entry was posted in TELEVISION and tagged OPRAH WINFREY. Bookmark the permalink.